Dr. Ghalib Saif Al Hosni is the Vice President of Human Resources Unit. He joined Omantel in 1991. Dr. Ghalib has the responsibility for Omantel’s strategic human resources activities, including workforce development and organization effectiveness, benefits and compensation, HR processes and information management etc. His accomplishments include creating award-winning Human resources processes and successful employee engagement programs. Dr. Ghalib has introduced a series of new HR programs ranging from a VEOS, Job Evaluation to several employee engagement initiatives. Dr. Ghalib holds Doctorate of Management from Webster University, Missouri United States. He serves on the boards of the few other companies in Oman. In 2012, he won the GCC HR Professional Award, followed by the best HR Professional in Private Sector award in 2013. The aim and the objectives of the OSHRM 4th Annual Conference is to bring together a diverse group of thought leaders and practitioners on a common platform. Be part of the world's only HR summit run by an Omani HR society - combining the best in international experience with an Arab-world focus. While conference attendees will be predominantly HR professionals from a variety of levels and organizations mainly from within Oman, there will be delegates from the GCC region and other parts of the world as well. 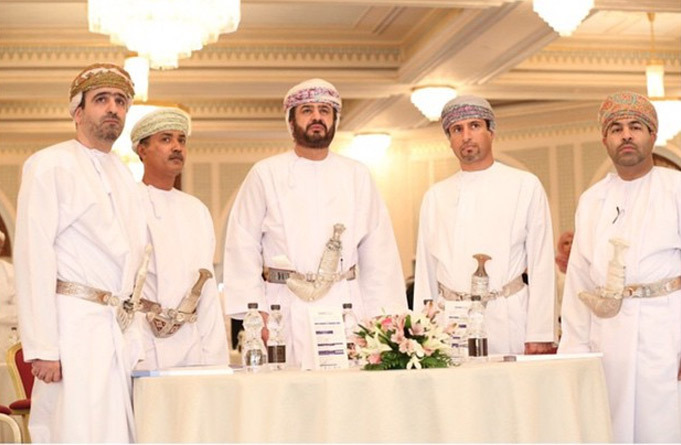 The Omani Society for Human Recourse Management (OSHRM) is the first and only such entity in Oman, run by members from both the private and public sectors. 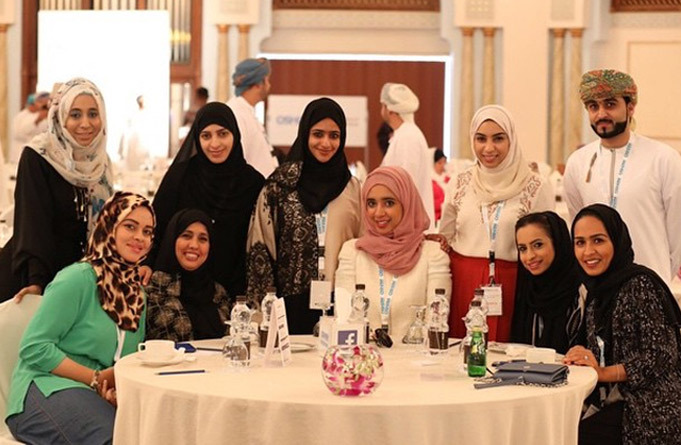 Started by a volunteer group of enthusiastic HR professionals in Oman in 2014 and under the umbrella of big corporates of Oman, OSHRM has come a long way. It was legally recognized as an independent not-for-profit Professional Society in accordance with Oman’s regulations on 21st May 2014. Oman. The International Research Foundation (IRF) was established in 2005 as a non-governmental, independent non-profit think-tank based in Muscat conducting research on economic policies and policy advocacy in the Arab world . The IRF sets its research and public affairs agenda on a collegial basis relying on the input of its researchers, its editorial board and its Senior Fellows. It maintains a working arrangement with governmental and non-governmental organizations in the region and other parts of the world. His Excellency Talal Al Rahbi has spent all his working life in public service, starting his career at Oman’s elected lower house of parliament (A’Shura Council), before returning to the US to complete his MPA in Public Policy and Management from at University of Oregon. Earlier he earned his Bachelor degree in Economics from the University of Louisiana. 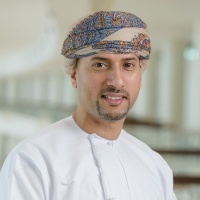 After completing his MPA studies and gaining valuable experience at the local government level in Lane County OR, Talal returned to Oman and went on to become a key figure in developing Oman’s Information Technology for the digital age, at a newly-formed national Information Technology Authority. Between 2010 and 2013, Oman rose ten places in the international Network Readiness Index. In February of 2013, Talal was appointed by Royal Decree as Deputy Secretary General to the Supreme Council for Planning – a cabinet council chaired by His Majesty the Sultan of Oman - that shapes Oman’s economic planning and prioritizes the entire country’s capital budgets. Talal was decorated by HM Sultan Qaboos with the Civil Order of Oman in 2015. In 2016, Talal managed the inception of a five year program for national economic diversification, under the banner “Tanfeedh”, or “implementation”. Based on Malaysia’s “Big Fast Results” methodology, the project brought together stakeholders from the public, private, academic and voluntary sectors to create accelerated change in priority economic areas. These intensive working groups have created over 120 initiatives with the aim of creating over $38 billion in total investments over the next four years. 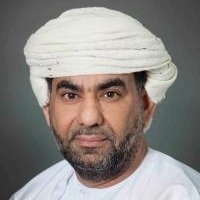 Among many board and representative positions, Talal currently serves as Chairman of a new Oman Technology Fund, Deputy Chairman of the Public Authority for SME Development, and board member of the Oman Rail Company, Public Authority for Electricity and Water, Public Authority for Craft Industries, and member of Oman Vision 2040 Committee. He also served as First Deputy Chairman of the UNESCO Institute for Statistics (2010-2013). 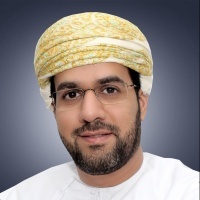 His Excellency Abdulsalam Al Murshidi is the Executive President of State General Reserve Fund, the largest Sovereign Wealth Fund of the Sultanate of Oman. 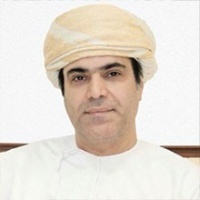 He is Chairman of the Board and Investment Committee of the Oman National Investment Development Company and a Board Member of the Public Authority for Investment Promotion and Export Development, Oman. 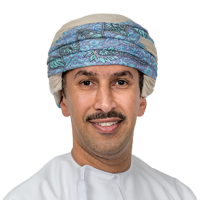 HE Al Murshidi holds other significant positions such as Chairman of Oman India Joint Investment Fund, UzOman Capital LLC, Vietnam-Oman Investment Co, and Oman Brunei Investment Company. He is a member on the Board of Alkhaliji bank as well as its sub-committees. He is also a member and participates in the management of a number of others public and economic organizations. He has previously held other positions and founded various industrial, commercial and investment companies in the region. HE Al Murshidi graduated with distinction from the University of Aberdeen, U.K. with a Master’s Degree of Science in Petroleum Geology (1996). He is also a Bachelor of Science in Geophysics from the University of Arizona, USA (1989). 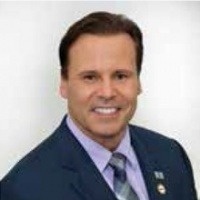 Dr. Rawas is a founding partner of Paradigms Consulting. Prior to his current post, he served as a Chief Executive Officer for Tasneea Oil & Gas Technology Group. 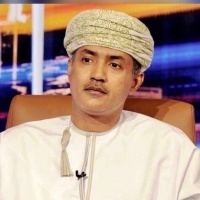 Dr Rawas has also served the Chief Executive Officer of Oman Telecommunications Company (OmanTel), he also served as the Managing Director for Oman Mobile Telecommunications Company (Oman Mobile). Before he joined the Telecom Sector, Dr. Rawas served in various academic and leadership positions at the Sultan Qaboos University (SQU) the flagship university in Oman. His last assignment was the Dean of Educational Services. Earlier to that he was the Director of the Center for Information System where he led the transformation of the role of ICT in the university. 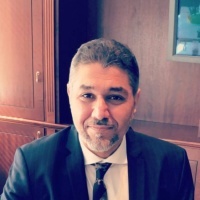 Dr. Amer Al Rawas is the current Chairman of MELA (Middle East Leadership Academy), a non-government leadership community serving the whole of Middle East providing leadership, training, networking, and inspiring the young leaders across the Middle East. • Member of the Education Council. • Member of Oman Academic Accreditation Authority. • 2017 : World Business Leader Award from the bizz 2017, by World Confederation of Businesses. • 2017 : Special recognition of EXCELLENCE IN BUSINESS LEADERSHIP from the bizz 2017, by World Confederation of Businesses. • 2015 : Winner of the Lifetime Achievement Award from the Organization (Beyond Borders) Within Star Business Awards. • 2014: Recognized as the best transformation leader in by Alam al Iqtisad Wa Al Aamal (AIWA) magazine for the year 2013. • 2013: Awarded as the Best CEO Award in Telecom Sector and Supporter of the Labour Development Process in the Sultanate Award, Muscat. • 2012: Winner of the Prize of Asian Business Leadership Award for leading a sustainable and holistic growth at Omantel. This is a continental prize for Asia and was awarded in the ABLF ceremony in Abu Dhabi, UAE. • 2012: Won the HR Focused CEO Award of the 4th GCC HR Excellence Awards. • 2008: Won the NTI BizPro Business Leader of the Year Award. • 1990: Winner of the Redifusion Simulation Ltd. Prize for the Best Software Engineer Graduation Project at Brighton University. Dr. Rawas holds a PhD in Computer Science and Artificial Intelligence from the Sussex University, UK, 1997. Although his area of specialization is Software Engineering, his research has expended in scope to cover the role of ICT in Economic Development, Socioeconomic and Demographic Drivers for Economic Growth. Mr. Said Salim Al-Shanfari has over 17 years’ experience working in leadership roles in Marketing and communication across Oman and UAE. He is currently holding a position of CEO at Oman Convention and Exhibition Center. An iconic landmark that is expected to attract local, regional and international events to the country. From (2006 - 2008), he worked at Emirates Integrated Telecommunications Company (du) as product manager mainly responsible to design new innovative services and promotions for prepaid segment. He was part of the international startup team that prepared the company to launch in 2006. From (2003 - 2005), he worked at the Information and Telecommunication Research Center as Executive Officer for two years and after in 2005 at Oman mobile as Product Developer. Al Shanfari holds two B.A. degrees in Computer Management Information System and International Business from Southern Illinois University USA in (2002). Also have MBA from Hull University UK in (2007). 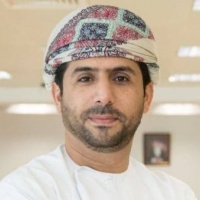 Said Al-Mandhari has started his role as a CEO for the Oman Broadband Company on January 2014, after having more than 16 years of experience in the ICT sector. Prior to working for Oman Broadband Company, he was the General Manager of Mideast Data Systems MDS-Oman for 6 years, managing more than 200 professionals in the IT & Telecommunication sector. He has worked before that for the Government of Oman and was involved in multiple national projects related to the e-government initiatives. In addition to his current full-time job, Said is currently involved in multiple committees and working groups related to ICT strategies, national capacity building, SMEs and digital economy. He is also a member of multiple companies board of directors and Industry Advisory Boards in different universities and colleges. Dr. Ghalib Saif Al Hosni is the CPO of Human Resources Unit. He joined Omantel in 1991. 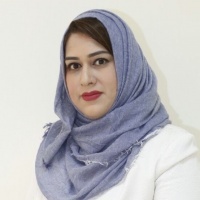 Dr Ghalib has the responsibility for Omantel's strategic human resources activities, including workforce development and organization effectiveness, benefits and compensation, HR processes and information management etc. His accomplishments include creating award-winning Human resources processes and successful employee engagement programs. Dr Ghalib has introduced a series of new HR programs ranging from Voluntary End of Service, Job Evaluation to several employee engagement initiatives. Dr. Ghalib holds Doctorate of Management from Webster University, Missouri United States. He serves on the boards of the few other companies in Oman. Dr. Ghalib is the Chairman of Oman Society of Human Resource Management and board member of the Arabian Society of Human Resources. Also, he is the president of IFTDO and board member of IPA. In 2012, he won the GCC HR Professional Award, followed by the best HR Professional in Private Sector award in 2013. External Reviewer for the Ministry of Higher Education to participate in the reviewing process of academic programs. Country (Oman) leader for Emotional Intelligence by Six seconds, USA. Executive trainer for London Speaker Bureau (LSB). 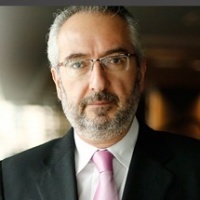 He also provides on-site practical advice and guidance in many countries, to business and technology leaders of multi-nationals and governments - enabling them to successfully orchestrate digital business transformation. Rob has spent over two decades helping some of the world's best known companies take commercial advantage of technology. From strategy through to execution, he helps business and technology executives at the world's best known firms to overcome fundamental challenges and deliver real value for the companies they serve. Digital leaders such as IDG, Onalytica, Mendix, and Red Hat have each named him as one of the world's top digital transformation individuals, and SAP Business Transformation Services awarded the accolade of "Global Business Transformation Master". Nowadays he provides advice and guidance on how to avoid "The Great Digital Illusion", "Digital Sugar Coating" and the minefield of pitfalls that the inexperienced fall into when attempting transformation. for over 20 years. He has promoted TETRA and other complementary radio technology standards in Latin America, North America, UK & Europe, Asia-Pacific region & Middle East. He is a former Director & Board Member of TCCA & remains an active member of TCCA Marketing Group, Transport Group & Critical Communications Broadband Group (CCBG). 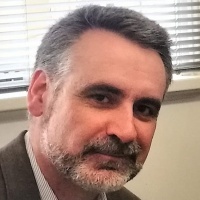 Peter is Founder & Managing Director of consulting firm, Quixoticity, founded in 2012 - a member of ETSI, 3GPP, TCCA, Cambridge Wireless & eLTE Industry Alliance. As member of 3GPP & ETSI, he now spends much of his time studying critical communications requirements & solutions for future 5G standards. Peter launched the first edition of the ambitious, groundbreaking Quixoticity Index in late 2017, which lays out a future roadmap for the global critical communications industry and community until 2030 based on the three pillars of mission-critical, 5G and United Nations Sustainable Development Goals (SDGs). Peter is also a much sought-after speaker globally, having given over 200 presentations around the world since 1997 on a wide range of subjects connected to the impact of new technologies on future societies and economies. He has degrees in modern languages, sociology & economics from universities in UK and Bolivia and speaks several languages. Prior to joining SHRM MEA in 2012, Brad has spent 17 years holding senior HR roles in globally diverse organizations like Mitsubishi Corporation (Tokyo), Royal Caribbean International (Miami) and most recently Hamptons/Emaar (Dubai). He holds the rare distinction of having practiced embedded HR on every inhabited continent including possessing HR experience in almost every major industrial sector. He was also one of the first people in the world to have earned a professional HR certification in two international jurisdictions (USA and Canada) and has first-hand HR experience supervising employees from over 120 different nationalities. Shabir is a senior Omani HR professional with over 23 years HR experience in oil & gas in Oman with Petroleum Development Oman (PDO) and the MENA Region & Russia with Shell International. He currently occupies the role of Country HR Director for Shell in Iraq & the UAE and leads the Nationalization agenda, talent management and resourcing for Shell businesses in the Country. In PDO, he occupied various senior roles in Learning, Omanisation, Resourcing and talent Management. Dr Ramin Mohajer, Graduated in an Honors Bachelor “Microbiology with Biochemistry & Physiology” and Masters in “Food Science” both from the University of Reading (UK), PhD in Bus-Economics from the University of London, and an MBA with concentration on tourism development from Victoria University (Melbourne, Australia). During the past 25 years, Locally, he has worked for Muscat Municipality as well as the Sohar Development Office (Diwan of the Royal Court) as Training and Development Advisor, at Al-Mouj Muscat in the field of HR as well as Communications, and currently as the HR Development and Performance Management Advisor to the CEO, at Information Technology Authority in the Sultanate of Oman. 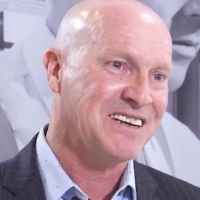 Internationally, he has worked for Glaxo Group Research (UK) as well as the Royal Berkshire Hospital (UK), Coles-Myer Group (Australia), and the Australian Federal Government in Canberra. More recently, Dr Ramin has been involved in representing the Sultanate in the Dubai Human Development Award (Mohammed bin Rashid Excellence Award) as one of the judges. He is also currently a Fellow and Board Member of the Gulf Talent Advisory Board, and on the Advisory Board of the Global College of Engineering and Technology. From as far back as he can remember, Michael Kouly has been fascinated by the art of leadership. He has spent his life learning about leadership, strategy, growth and purpose at the world’s top schools, including Harvard, Princeton, Michigan and Maastricht. He has practiced leadership as a two-time CEO at both Reuters and Orbit Corporations, for more than 30 years in 22 countries. He is also an advisor to state leaders. Craig has over 15 years’ international experience of strategic programme and project leadership within the education and training sector where he has supported governments and organisations in over 40 countries across six continents. 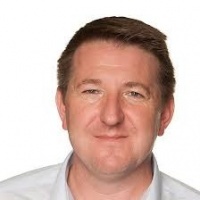 From supporting localisation initiatives across the Gulf region to working with multinational clients including BP, Shell, GSK and Petrofac, Craig has a wealth of experience that he has used to found and lead the GES business. As well as acting as an Education Sector Specialist for the UK government, Craig acts as a strategic advisor to government organisations involved in the education and skills sectors in Oman, the UAE, Malaysia and Vietnam. Before his consultancy career Craig worked for National Police Training as a leadership programme facilitator and evaluator and held HR and OD director roles in the chemical, oil and gas sectors. He is an Adjunct of Hult Ashridge Business School and a Fellow of the Royal Society for the Arts, Manufactures and Commerce. Ave Peetri, MBA, CPCC, PCC, is a former marketing executive and CEO turned Leadership coach after discovering what a difference coaching can make. As a Professional Certified Coach with ICF, she loves developing confident leaders by asking powerful questions, holding the client accountable and seeing the potential in every human being. 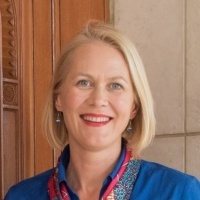 Her long career at multinational corporations (The Coca-Cola Company, Tallink/Silja Line Group) and experience in leading companies and creating a few of her own, enables Ave to understand and resonate with the experiences her clients are going through. Ave is also certified in International Systemic Team Coaching at Academy of Executive Coaching and has been working with teams to develop their collective leadership in tackling the challenges of today and tomorrow. Ave Peetri is the Vice-President of International Coach Federation Oman Chapter. HR Manager in Mazoon Dairy Company. Ahmed has joined his current role in March 2017 and he oversees the establishment of HR Department including setting the standard recruiting and hiring polices, HR manuals and strategies, learning & development initiatives, building an attractive work environment, and recruiting more than 400 employees at all levels during the first year of this ambitious project. Ahmed is a learning and development professional with over 14 years of experience in education, leadership development, training, people management, and strategic planning. He a creative and innovative thinker with effective human resources development and goal setting abilities combined with superior leadership, team building, communication skills demonstrated specifically while working in a national Think Tank affiliated to the Diwan of the Royal court. 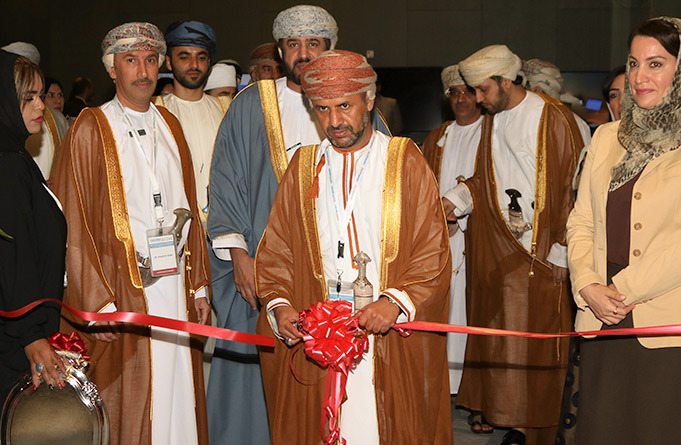 For more than two years, Ahmed played a crucial role in managing the activities of the Pubic Private Partnership platform where dialogue between government and business community was translated into launching several national initiatives such as the National Training Fund, the National CEOs program, the National Program of leadership & Competitiveness, and Oman Business Forum. He is a Certified Practitioner of both MBTI and Thomas PPA. Beside his task in Mazoon Dairy Company, Ahmed is a Board Member in The Omani Company of Dates Production & Packaging. 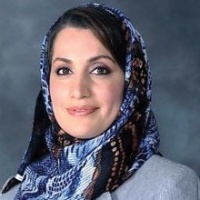 Hanan is a certified co-active coach, known for her high energy, positive, motivation, fun, and love. She enjoys connecting and working with people from culturally diverse backgrounds. She believes that each and every one of us have ability to grow and shine! Her fascination is in team growth, passionate in performance coaching and mentoring, Geared in helping individuals and teams improve performance, grow personally and professionally. 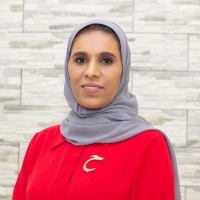 Hanan is an accomplished strategic organizational development professional, with 17 years corporate experience in Health, Mining, Port and Environment sectors. Progressive skills in coaching, managing tenders and contracts, negotiations, planning and provide cost savings techniques, and consensus-driven communicator. 	Organization and Relationship Systems Coach (ORSC) - In progress Mar to Dec 2018. 	AoEC Systemic Team Coaching® Certificate (STCC) - April 2018. 	Master Degree (MBA) - University of Bedfordshire - UK Feb, 2015. 	Certified International Procurement Professional (CIPP) – Dubai, November, 2012. 	B.com (Banking & Finance) – Pune University (India) -1997 to July 2000. 	Haya Water. December 2015 – Present. 	Port of Duqm Company SAOC. Jan 2012 – Dec 2015. 	VALE OMAN Jan 2009 – Dec 2011. 	Ministry of Health Mar 2001 – Nov 2008.